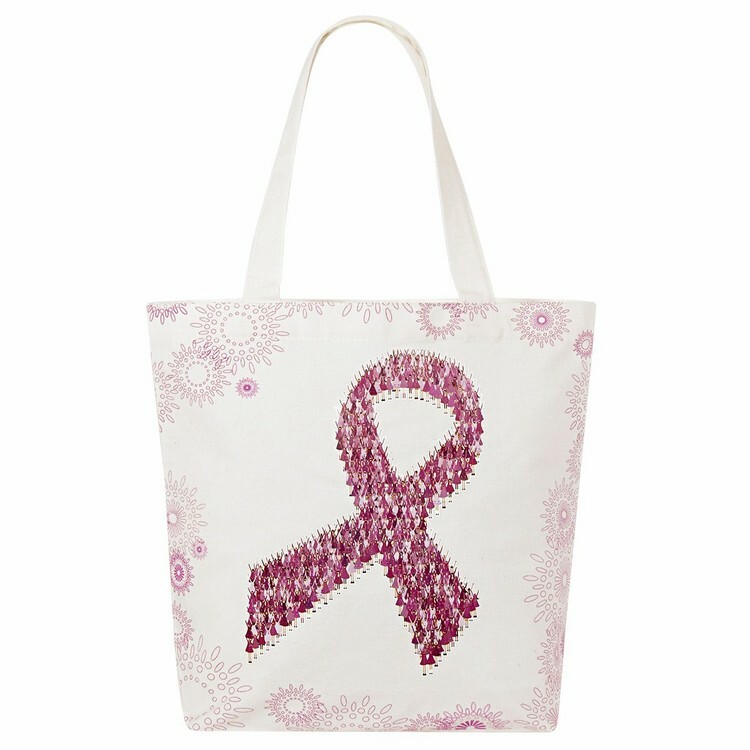 Give them a piece of your brand to walk away with using this Awareness tote bag in your next marketing campaign! Made of 8 oz cotton, semi-bleached, 15"x 13"x 4" bottom gusset with 20" handles, screen printing plus a four-color process heat transfer. Reusable, washable, biodegradable and eco-friendly; it's a great quality gift, shopping incentive or other promotional giveaway item! Full-color, full-bleed, eco-friendly printing and complete customization available. Overseas production with 20-50 working days lead time and MOQ of 2500 units.